It was a quiet, sunny November morning, as Carole Barber looked up from her computer and stared out into the garden of her Bel-Air home. It was a big, rambling stone mansion that she had lived in for fifteen years. The sunny greenhouse room she used as an office looked out over the rosebushes she had planted, the fountain, and the small pond that reflected the sky. The view was peaceful, and the house silent. Her hands had barely moved over the keyboard for the past hour. It was beyond frustrating. Despite a long and successful career in films, she was trying to write her first novel. Although she had written short stories for years, she had never published any. She had even tried her hand at a screenplay once. During their entire marriage, she and her late husband, Sean, had talked about making a movie together, and never got around to it. They were too busy doing other things, in their primary fields. Sean was a producer-director, and she was an actress. Not just an actress, Carole Barber was a major star, and had been since she was eighteen. She had just turned fifty, two months before. By her own choice, she hadn’t had a part in a movie for three years. At her age, even with her still remarkable beauty, good parts were rare. Carole stopped working when Sean got sick. And in the two years since he’d died, she had traveled, visiting her children in London and New York. She was involved in a variety of causes, mostly relating to the rights of women and children, which had taken her to Europe several times, China, and underdeveloped countries around the world. She cared deeply about injustice, poverty, political persecution, and crimes against the innocent and defenseless. She had diligently kept journals of all her trips, and a poignant one of the months before Sean died. She and Sean had talked about her writing a book, in the last days of his life. He thought it was a wonderful idea, and encouraged her to start the project. She had waited until two years after his death to do it. She had been wrestling with writing it for the past year. The book would give her an opportunity to speak out about the things that mattered to her, and delve deep into herself in a way that acting never had. She wanted desperately to complete the book, but she couldn’t seem to get it off the ground. Something kept stopping her, and she had no idea what it was. It was a classic case of writer’s block, but like a dog with a bone, she refused to give up and let it go. She wanted to go back to acting eventually, but not until she wrote the book. She felt as though she owed that to Sean and herself. In August, she had turned down what seemed like a good part in an important movie. The director was excellent, the screenwriter had won several Academy Awards for his earlier work. Her costars would have been interesting to work with. But when she read the script, it did absolutely nothing for her. She felt no pull to it at all. She didn’t want to act anymore unless she loved the part. She was haunted by her book, still in its fetal stages, and it was keeping her from going back to work. Somewhere deep in her heart, she knew she had to do the writing first. This novel was the voice of her soul. When Carole finally started the book, she insisted it wasn’t about herself. It was only as she got deeper into it that she realized that in fact it was. 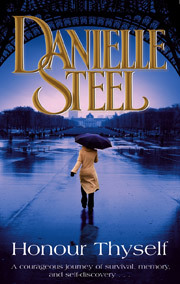 The central character had many facets of Carole in her, and the more Carole got into it, the harder it was to write, as though she couldn’t bear facing herself. She had been blocked on it again now for weeks. It was a story about a woman coming of age and examining her life. She realized now that it had everything to do with her, the life she’d led, the men she’d loved, and the decisions she had made in the course of her life. Every time she sat down at her desk to write it, she found herself staring into space, dreaming about the past, and nothing wound up on the screen of her computer. She was haunted by echoes of her earlier life, and until she came to terms with them, she knew she couldn’t delve into her novel, nor solve its problems. She needed the key to unlock those doors first, and hadn’t found it. Every question and doubt she’d ever had about herself had leaped back into her head with the writing. She was suddenly questioning every move she’d ever made. Why? When? How? Had she been right or wrong? Were the people in her life actually as she’d seen them at the time? Had she been unfair? She kept asking herself the same questions, and wondered why it mattered now, but it did. Immensely. She could go nowhere with the book, until she came up with the answers about her own life. It was driving her insane. It was as though by deciding to write this book, she was being forced to face herself in ways she never had before, ways she had avoided for years. There was no hiding from it now. The people she had known floated through her head at night, as she lay awake, and even in her dreams. And she awoke exhausted in the morning. The face that came to mind most often was Sean’s. He was the only one she was sure about, who he had been, and what he meant to her. Their relationship had been so straightforward and clean. The others weren’t, not to that degree. She had questions in her mind about all of them but Sean. And he had been so anxious for her to write the book she had described to him, she felt she owed it to him, as a kind of final gift. And she wanted to prove to herself that she could do it. She was paralyzed by the fear that she couldn’t, and didn’t have it in her. She had had with the dream for more than three years now, and needed to know if she had a book in her or not. The word that came to mind when she thought of Sean was peace. He was a kind, gentle, wise, loving man, who had been only wonderful to her. He had brought order to her life in the beginning, and together they had built a solid foundation for their life together. He had never tried to own or overwhelm her. Their lives had never seemed intertwined or entangled, instead they had traveled side by side, at a comfortable pace together, right until the end. Because of who he was, even Sean’s death from cancer had been a quiet disappearance, a kind of natural evolution into a further dimension where she could no longer see him. But because of his powerful influence on her life, she always felt him near her. He had accepted death as one more step in the journey of his life, a transition he had to make at some point, like a wondrous opportunity. He learned from everything he did, and whatever he encountered on his path, he embraced with grace. In dying, he had taught her yet another intensely valuable lesson about life. Two years after he had gone, she still missed him, his laughter, the sound of his voice, his brilliant mind, his company, their long quiet walks together along the beach, but she always had the feeling that he was somewhere nearby, doing his own thing, traveling on, and sharing some kind of blessing with her, just as he had when he was alive. Knowing and loving him had been one of her greatest gifts. He had reminded her before he died that she still had much to do, and urged her to go back to work. He wanted her to make movies again, and write the book. He had always loved her short stories and essays, and over the years she had written dozens of poems to him, which he treasured. She had had all of them bound in a leather folder several months before he died, and he had spent hours reading them over and over again. lk far, and they had said very little to each other. They had walked side by side, holding hands, sat down frequently when he got tired, and they had both cried as they sat and watched the sunset. They both knew the end was near. He had died the following night, peacefully, in her arms. He had taken one last long look at her, sighed with a gentle smile, closed his eyes, and was gone. Because of the way he’d died, with such elegant acceptance, afterward it had been impossible to be overwhelmed with grief when she thought about him. As best one could be, she was ready. They both were. What she felt in his absence was an emptiness she still felt now. And she wanted to fill that void with a better understanding of herself. She knew the book would help her do that, if she could ever get a handle on it. She wanted to at least try to measure up to him, and the faith he’d had in her. He had been a constant source of inspiration to her, in her life and her work. He had brought her calm and joy, and a kind of serenity and balance. In many ways, it had been a relief for her not to work in films for the past three years. She had worked so hard for so long that even before Sean got sick she knew she needed a break. And she knew that time off for introspection would eventually bring deeper meaning to her acting as well. She had made some important movies over the years, and had been in some major commercial hits. But she wanted more than that now, she wanted to bring something to her work that she never had before. The kind of depth that only came with wisdom, seasoning, and time. She wasn’t old at fifty, but the years since Sean got sick and died had deepened her in ways she knew she would never have experienced otherwise, and she knew that inevitably that would show on the screen. And if she mastered it, surely in her book as well. This book was a symbol of ultimate adulthood for her, and freedom from the last ghosts of her past. She had spent so many years pretending to be other people through her acting, and appearing to be who the world expected her to be. Now was the time in her life when she wanted to be unfettered by other people’s expectations, and finally be herself. She belonged to no one now. She was free to be whoever she wanted to be. Her years of belonging to a man had been over long before she met Sean. They had been two free souls, living side by side, enjoying each other with love and mutual respect. Their lives had been parallel, and in perfect symmetry and balance, but never enmeshed. It was the one thing she had feared when they got married, that it would get complicated, or he would try to “own” her, that they might somehow stifle or drown each other. That had never happened. He had assured her it wouldn’t, and had kept his promise. She knew that her eight years with Sean were something that only occurred once in a lifetime. She didn’t expect to find that with anyone else. Sean had been unique. She couldn’t imagine herself falling in love, or wanting to be married again. She had missed him for these past two years, but had not mourned him. His love had sated her so totally that she was comfortable now even without him. There had been no agony or pain in their love for each other, although like all couples, they’d had resounding arguments now and then, and then laughed about them afterward. Neither Sean nor Carole was the kind of person to hold a grudge, and there wasn’t a shred of malice in either of them, or even in their fights. In addition to loving each other, they had been best friends. They met when Carole was forty, and Sean was thirty-five. Although five years younger than she was, he had set an example for her in many ways, mostly in his views about life. Her career was still going strong, and she was making more movies than she wanted to at the time. For so many years before that, she had been driven to follow the path of an ever-more-demanding career. They met five years after she had moved back to Los Angeles from France, and she’d been trying to spend more time with her children, always pulled between her kids, and increasingly alluring movie roles. She had spent the years after her return from France without a serious involvement with a man. She just didn’t have the time, or the desire. There had been men she’d gone out with, usually for a brief time, some of them in her business, mostly directors or writers, others who were in different creative fields, art, architecture, or music. They had been interesting men, but she’d never fallen in love with any of them, and was convinced she never would again. Until Sean. They had met at a conference they’d both gone to, to discuss the rights of actors in Hollywood, and had been on a panel together about the changing role of women in films. It had never bothered either of them that he was five years younger than she was. It was completely irrelevant to both of them. They were kindred spirits, regardless of age. A month after they met, they had gone to Mexico together for a weekend. He had moved in three months later, and never left. Six months after he moved in, despite Carole’s reluctance and misgivings, they were married. Sean had convinced her it was the right thing for both of them. He was absolutely correct, although at first Carole had been adamant about not wanting to get married again. She was convinced that their careers would somehow interfere and cause conflicts between them, and impact their marriage. As Sean had promised, her fears had been unfounded. Their union seemed blessed. 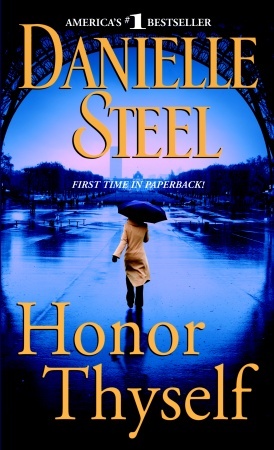 Excerpted from Honor Thyself by Danielle Steel Copyright © 2008 by Danielle Steel. Excerpted by permission of Dell, a division of Random House, Inc. All rights reserved. No part of this excerpt may be reproduced or reprinted without permission in writing from the publisher.